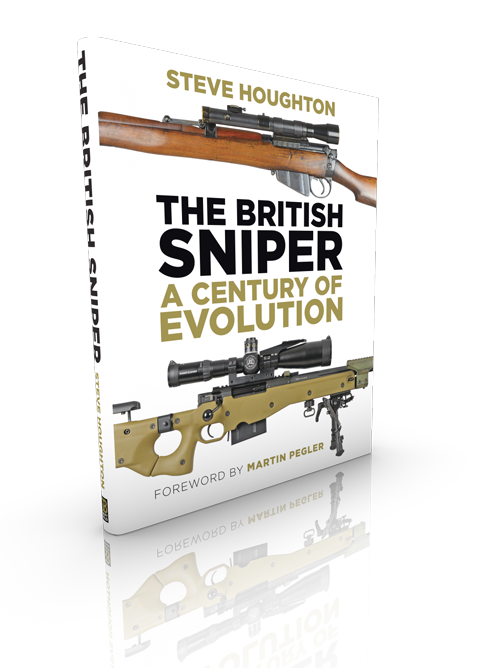 Swift & Bold Publishing is proud to present the first of a series of books written by Steve Houghton The British Sniper, A Century of Evolution. This fully comprehensive and detailed study takes the reader back to the beginning, to 1915 when the British Army first became engaged with sniping, and when Victorian attitudes to the practice were put aside, a pivotal moment in history as sniping would from that point be indelible within the British Army. This incredibly detailed study is the culmination of two years work which endeavours to follow the British sniping story and in doing so presents to the reader all the sniping weapons and associated equipment issued to and utilised by the field army from 1915 to the present. Great efforts have been made to locate and photograph everything used by each generation of British Army sniper. As a result, around eight hundred images lay within consisting of both black and white and colour historical images of which many are being published for the first time. 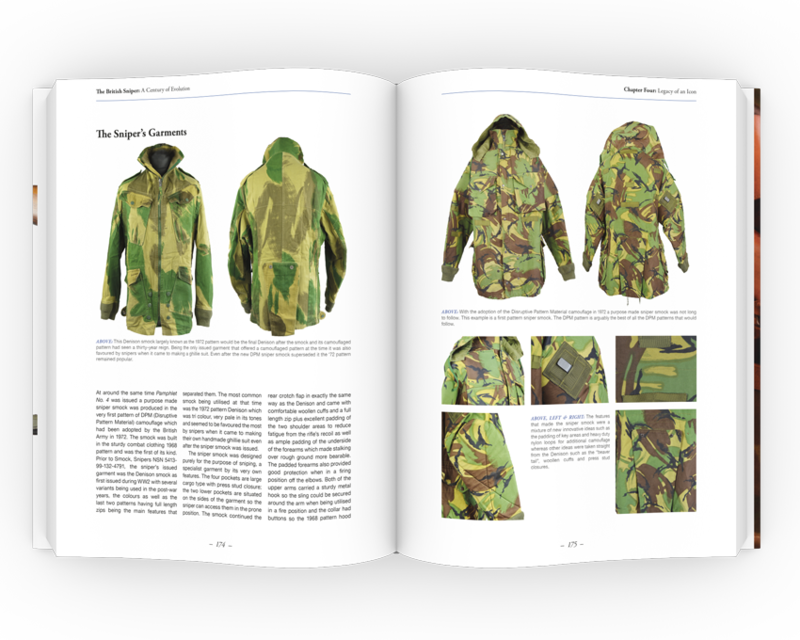 Additionally, the weapons and equipment are pictured in full colour further supported throughout the book by personal accounts from snipers who used it which brings the equipment to life. Steve Houghton’s The British Sniper, A Century of Evolution is the most detailed study to emerge in over thirty years, and as such it is likely to be a future essential classic. For the first time ever the British Army’s sniping weapons which have spanned the last century are in one place. This beautifully prepared book will serve as a reference centre for the sniping history enthusiast and the collector alike. Martin Pegler was the curator of the national collection housed at the Royal Armouries Museum for over twenty years and is an accomplished author on the subject. Martin very kindly agreed to write the foreword, so, what does Martin think of The British Sniper, A Century of Evolution? 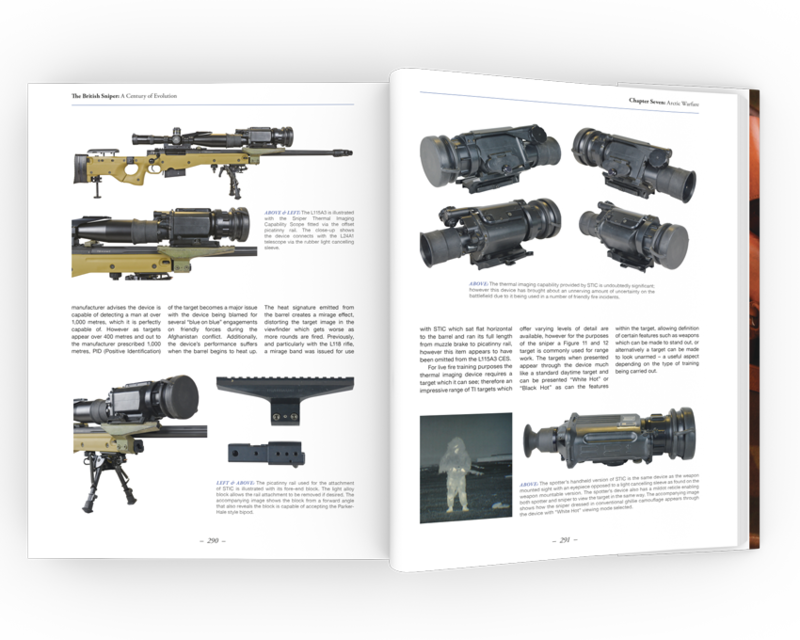 “I think the culmination of this remarkable book is the chapter dealing with the development and eventual introduction of the radical Accuracy International L96A1 rifle. For the first time, a purpose-designed sniping rifle was issued to the British sniper, providing him with the cutting edge tool that he so desperately needed. Until now, little has been published on this important weapon and much of what exists is misinformation, speculation and sometimes complete fabrication! 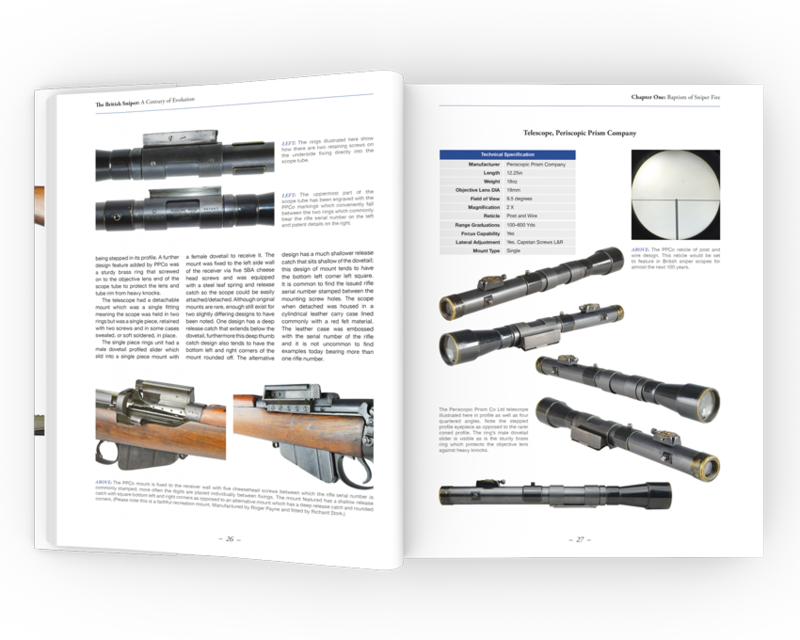 The L96 chapter provides the reader with a complete history of its design, manufacture, teething troubles, service issue and some remarkable accounts of its combat use, as well as detailed illustrations. If for no other reason, this chapter alone makes this book an important addition to sniping literature. I can state with some authority that to cover such a broad subject as a century of British sniping is nothing less than a labour of love. I congratulate Steve Houghton on a publication that has covered a difficult subject in an informative and interesting manner. Having written one or two books on the subject, I know this is far from easy to achieve. If you have any interest whatsoever in the subject of sniping, then this book must be considered an absolute necessity”.